Elected by the General Assembly to the High Court of Chancery on August 30, 1779, and became a member, ex-officio, of the Court of Appeals on the same day. Service terminated by the reorganization of the courts in 1788, which took effect March 5, 1789. 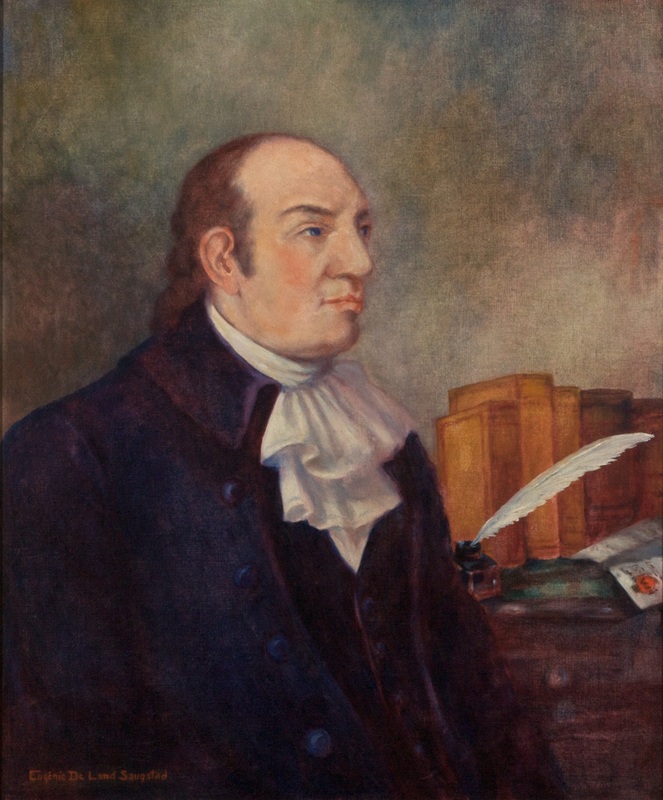 Biography and career, E. Lee Shepard, “George Wythe: College of William and Mary, 1779-1790,” in W. Hamilton Bryson, Legal Education in Virginia: A Biographical Approach, 1779-1979 (Charlottesville: University Press of Virginia, 1982), 1749-755, and A Provisional List of Alumni, Grammar School Students, Members of the Faculty, and Members of the Board of Visitors of the College of William and Mary in Virginia From 1693-1888 (Richmond: Division of Purchase and Printing, 1941), 45; King’s attorney general, 1754-1755, Imogene Brown, American Aristides (New Jersey: Fairleigh Dickinson University Pres, 1981), 38-39; portrait, Ray O. Hummel, Jr., and Katherine M. Smith, Portraits and Statuary of Virginians Owned by the Virginia State Library, the Medical College of Virginia, the Virginia Museum of Fine Arts, and Other State Agencies (Richmond, Va.: The Virginia State Library, 1977), 136, and Library of Virginia portrait files. A copy of the Saugstad was made during the administration of Governor George Allen (1994-1998) and hangs in a hearing room.